Suaad Abd-Elhadi wins a Kaye Innovation Award for a new diagnostic tool that could pave the way for early diagnosis and improved treatment of one of the most common and debilitating neurodegenerative disorders. Parkinson’s disease is the second most common neurodegenerative disorder in humans, after Alzheimer’s disease. It is typically characterized by changes in motor control such as tremors and shaking, but can also include non-motor symptoms, from the cognitive to the behavioral. An estimated seven to 10 million people worldwide are living with Parkinson’s disease, with medication costing approximately $2,500 a year, and therapeutic surgery costing up to $100,000 dollars, per patient. Making an accurate diagnosis of Parkinson’s, particularly in early stages and mild cases, is difficult, and there are currently no standard diagnostic tests other than clinical information provided by the patient and the findings of a neurological exam. One of the best hopes for improving diagnosis is to develop a reliable test for identifying a biomarker, i.e. a substance whose presence would indicate the presence of the disease. Now, Suaad Abd-Elhadi, a Ph.D. student in the Hebrew University of Jerusalem’s Faculty of Medicine, developed the lipid ELISA. This unique diagnostic tool could lead to earlier detection of Parkinson’s, along with better tracking of the disease’s progression and a patient’s response to therapy. ELISA stands for “enzyme-linked immunosorbent assay.” An assay is a procedure used in laboratory settings to assess the presence, amount, and activity of a target entity, such as a drug, cell or biochemical substance. ELISA is a common assay technique that involves targeting cellular secretions. In the case of the lipid ELISA, the cellular secretion of interest is a specific protein called the alpha-Synuclin protein. This protein serves as a convenient biomarker that is closely associated with the tissues where Parkinson’s disease can be detected, along with the neurological pathways the disease travels along, causing its characteristic symptoms. As a simple and highly sensitive diagnostic tool that can detect Parkinson’s biomarkers, the lipid ELISA could lead to a minimally invasive and cost-effective way to improve the lives of Parkinson’s patients. Recently, Abd-Elhadi has demonstrated a proof of concept to the high potential of this lipid-ELISA assay in differentiating healthy and Parkinson’s affected subjects. She is now in the process of analyzing a large cohort of samples, including moderate and severe Parkinson’s, and control cases, as part of a clinical study. Through Yissum, its technology transfer company, the Hebrew University holds granted patents on the technology and signed an agreement with Integra Holdings for further development and commercialization. In recognition of her work, Suaad Abd-Elhadi was awarded the Kaye Innovation Award for 2017. 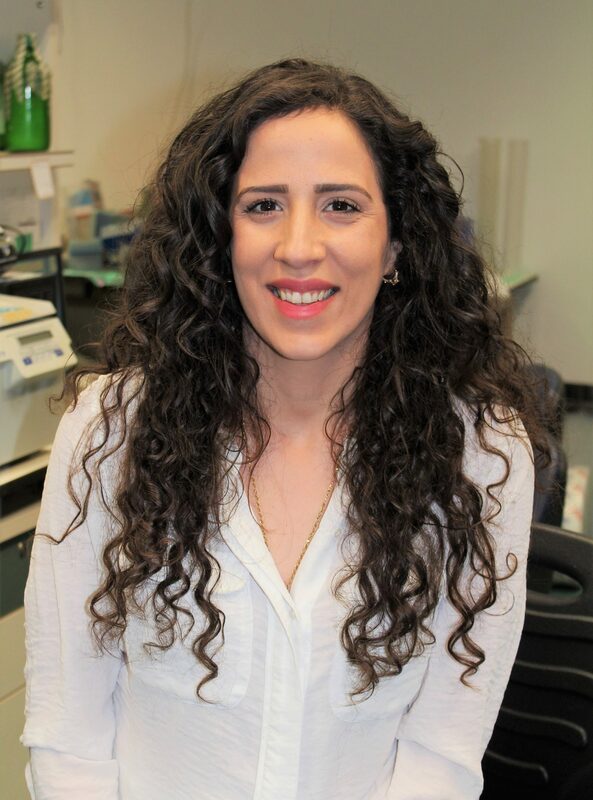 Suaad Abd-Elhadi is a direct-track Ph.D. student at the Department of Biochemistry and Molecular Biology in the Hebrew University’s Faculty of Medicine. She completed her B.S. in medical laboratory science at Hadassah Academic College. She was awarded a scholarship from the Liba and Manek Teich Endowment Fund for Doctoral Students and an Adrian Sucari Scholarship for Academic Excellence. She conducts her research under the supervision of Dr. Ronit Sharon and has published papers in Science Reports and Analytical and Bioanalytical Chemistry describing her research.